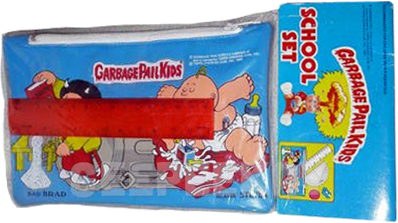 These 'School Sets' are comprised of the Pencil Bags (featured here), with the addition of some school supplies. 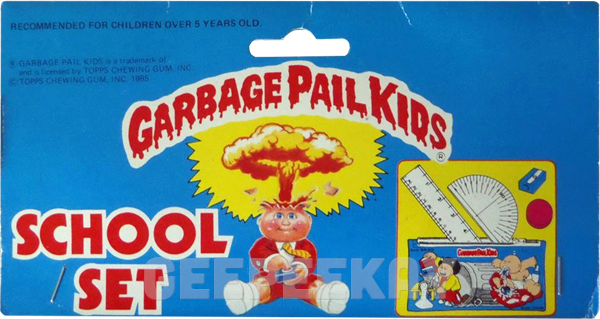 Just like the Pencil Bags, these bags included images from both 1st and 2nd Series Garbage Pail Kids characters. 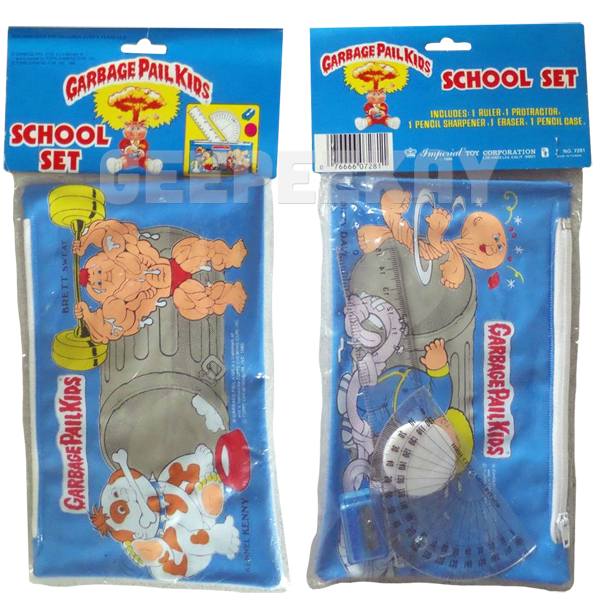 These School Sets are commonly confused with the Pencil Bags due to the similar packaging, however these are FAR more rare of a find. 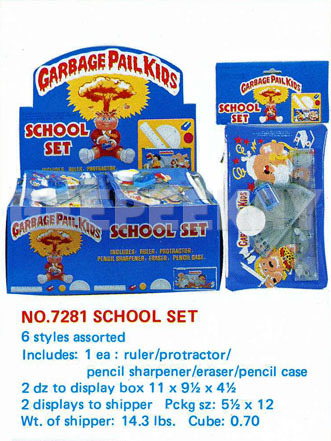 The supplies that come in the set include a protractor, ruler, pencil sharpener and eraser.